The LED isn’t actually soldered where it passes through the board. 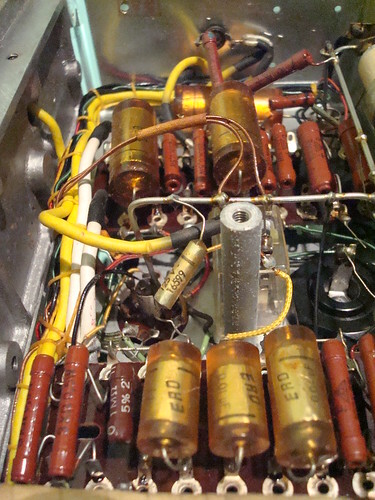 The anode and cathode are bent around and soldered to allow the LED a little bit of travel. Looks really nice. I am going to have to try this on my next project. 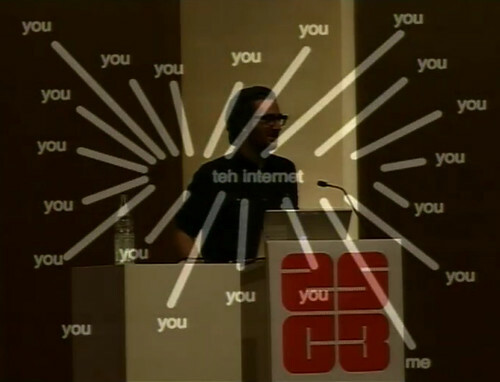 Click here for the project's website. 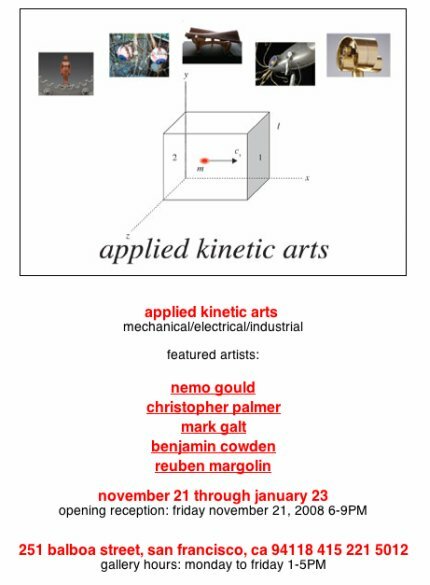 Applied Kinetic Arts' show at the Y2Y gallery closes this Friday. The Y2Y Gallery is located at Jeff King & Company, 251 Balboa Street, in San Francisco. Stay tuned for AKA's next show, where and whenever that might be. CDM has a review of the new MOTU Volta software. This software (currently Mac only) allows users to control their analog synth (with either the MOTU audio interface or the RME Fireface) via their computer and "turns your audio interface into a Control Voltage device." Read the full review and tutorial here. 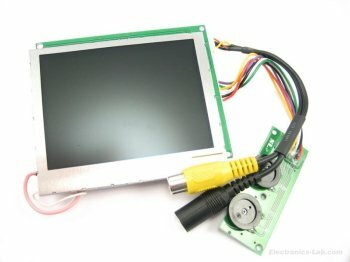 There's this very cool site, called Electronics-Lab.com, and they have a very cool new thing, and that's a whole lot of nice looking electronics stock photos, all for free. This is great stuff for creating lessons, Instructables, brochures, or anywhere you may need such pictures. Oh, and yes, the picture on this post is from their collection. I plan to write more about Electronics-Lab.com in future posts. Several times a week I get asked by someone what I recommend as the best/easiest/quickest/least expensive way to learn about electronics. Some people learn best in a classroom environment, but a lot of people don't have the time, or the money to do that. My standard recommendation for self study has been, for quite a while now, a 300-in-1 Electronics Learning Lab (so called because they contain parts and instruction for 300 different circuit lessons), and a good book. Both can be had for a total of less than $100. The book I recommend is Paul Scherz' "Practical Electronics For Inventors" a wonderfully complete tome that is of use from the very beginnings into experthood. The link above is to the second edition. Note that used copies of the first edition are available at very good prices, and it is still a very fine book. The other unit on the market is available all over the place...but be careful. In my recent searches I found it priced anywhere from $80 to $130 - yes, a $50 swing on the exact same item. The average price is somewhere around $100. I know a lot of this particular kit gets sold, and I know that there are happy customers out there, but I have no personal experience with it. From looking at the list of 300 projects the two kits look very, very similar. Here's the best deal I found on the white kit. One last thing - neither of these kits contain nor discuss microcontrollers. They are for learning basic analog and digital electronics. The stuff they'll teach you will come in very handy, though, if and when you decide to try your hand at microcontrollers. ...BUG Labs, makers of open source, Linux-based hardware you can snap together like Lego bricks, now has a range of new modules. Most interesting to readers here: there's an audio module, with input, output, a speaker, and even the possibility of basic onboard DSP. Combined with the other modules - GPS positioning, accelerometer/proximity sensor, physical computing-style inputs and outputs for sensors and robotics and switches and things, a touchscreen, a Linux-powered computer, a camera with stills and video, cell phone SIM - this could lead to some interesting projects. It's certainly got competition from conventional computers and new Linux-powered devices like the Android platform, but then, that just makes for a healthier range of choices for designing your own mashed-up, hacked-up hardware of the future. I found source code to do LANC control with the Arduino board. It was written quite well - it worked the first time out. I made a few changes though, specifically changing it from being controlled by a serial port to being controlled by a potentiometer. I plan to build my own zoom controller with it, using an Arduino Mini. Read the Hackzine post here. Jon Sarriugarte and Krysten Mate have posted an Instructable detailing the building process for their Snail Art Car. Good info here for, for "building any kind of art car... I hope by posting this you gather your own team (most of mine had no experience) and make your own dream car together." Friend of KineticWorld, Bre Pettis, gave a talk recently at 25C3, the annual Chaos Computer Congress in Berlin on rapid prototyping. BoingBoing has a nice write up here, and Bre has his own post about it here. Vague Terrain recently posted their newest journal, this time focusing on "Device Art" and "the long lineage of machine making in arts and industry and [collecting] a survey of contemporary work to represent this emerging microcontroller-driven age." This abundance feeds an underground culture of hackers and 'circuit benders' in much the same way that the post World War II glut of cars fuelled the hot rod craze of the 50s and 60s ... The rise of rapid protoyping and small-run custom manufacturing means that an artist can essentially have a factory in their living room, and produce electronic devices as easily as previous generations made prints or ceramics.